WHEEE! HA HA HA! BOOGERS! HA HA! OH BOY! I understand, sir. All the true believers will ascend and join the kindgom of heaven. I'll give Jesus the heads up. Wait, no. I meant get me pair of asian hookers. Oh, that rapture. You know, if you want do this this every other week you should really think up a new code name. Like "The Japture" or something. 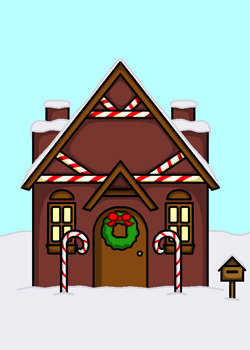 why are they at a candycane house? That is God's candy shack. Can't he just make them? Lazy god. 1/10/08.....the day your comics stopped. And that's "Not Funny At All". The revolutionary, evolutionary theological theory of Pandeism reconciles elements of Pantheism and Deism to probabilistically conclude that the Creator of our Universe in fact wholly became our Universe in order to experience existence through lives arising within it.